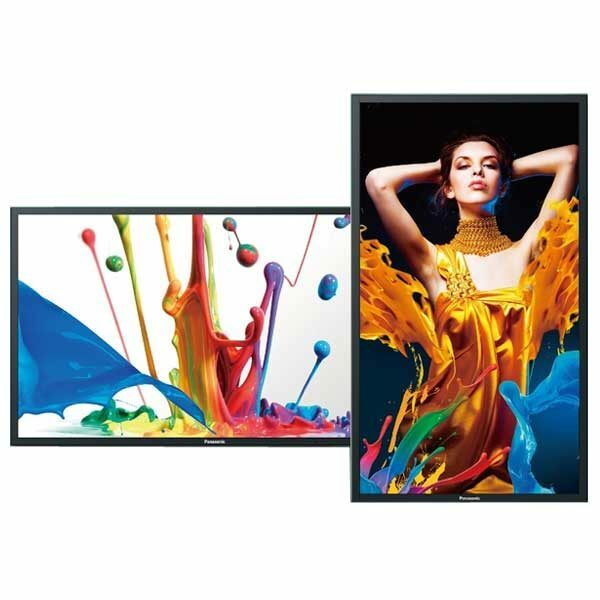 Panasonic's LF50 series Pro Signage Displays offer brightness and clarity in a slim lightweight design with only 89 mm depth. They feature a special eye-bolt system enable ceiling-suspension for greater installation flexibility. High 700-cd/m2 brightness and 5,000:1 contrast ensure excellent, eye-catching visibility even in large public spaces. This greatly increases the promotional value for signage use. This ultra-thin design has a depth of only 89 mm. Its light weight also enables ceiling-suspension, for greater installation flexibility. The highly durable panel allows continuous 24/7 operation. The LED backlight also saves energy for extremely efficient operation.